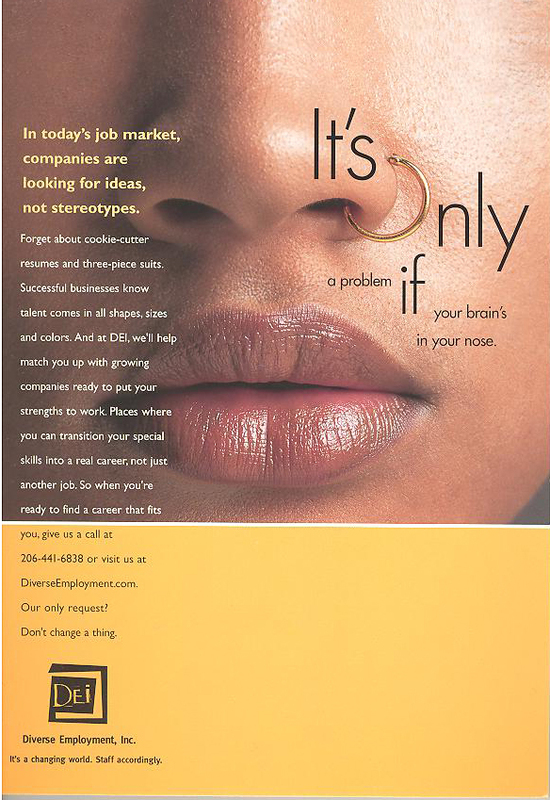 This recruiting ad served as the basis for a rebranding campaign for a boutique recruiting company. It was used for print advertisements, direct mailing pieces and a website. Click on the image above to see it in full size. All rights reserved. Created at Diverse Employment, Inc. This entry was posted in Copywriting, Copywriting Portfolio, Direct Mail, Print and tagged naming & taglines, postcard. Bookmark the permalink.